RANDALL SNYDER is head of the Composition Department at the University of Nebraska-Lincoln, and was appointed that school’s first Composer-in-Residence in 1996. He was born in Chicago in 1944 and studied saxophone with his father, a professional jazz musician. During high school he received a scholarship to the Stan Kenton Band Camp and in 1962 was honored with a Downbeat Magazine Student Hall of Fame Award. He later attended Quincy College and the University of Wisconsin earning a DMA degree in 1973. Snyder has also received fellowships to study Korean music at the Traditional Performing Arts Institute in Seoul. Over 60 of his pieces have been published and more than 20 have been commercially recorded on the CRS, VMM, North/South, Coronet, and Elan labels. 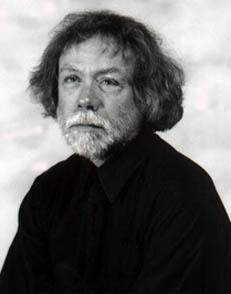 His orchestral and chamber music have won several composition contest prizes, and in 1992 Snyder was the recipient of an NEA grant as Composer-in-Residence with the Nebraska Chamber Orchestra. In recent years his music has been played by various chamber ensembles including Sincronia, North/South Consonance, SoundMoves, Timaeus, Broyhill, Inoue Chamber Ensembles, and Friends and Enemies of New Music. His orchestral works have been performed by the Lincoln and West Virginia Symphonies, The Moravian Philharmonic, The Omaha Chamber Orchestra, and the National Repertory Orchestra. His contributions to music in his adopted state has been recognized by the NEA through the Nebraska Arts Council with four Individual Artist Fellowships. In addition to his compositional activity, Snyder has been active as a jazz performer, appearing as bassist in two documentary films with Kansas City pianist Jay McShann.